The construction of the arena started in 1997. The construction costs of the venue, which opened as the Philips Arena, were $213 million. The State Farm Arena hosted the NBA All-Star Game in 2003 for the first time in its history. 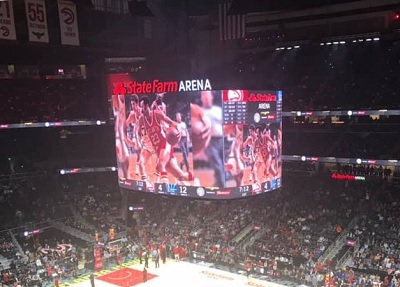 It is mainly used for WNBA matches of the Atlanta Dream and NBA matches of the Atlanta Hawks. The Hawks became one of the first basketball clubs with 1 million followers on their main social media page.